Last year in 2017 we did a survey with our members of the exercise facility. There was great feedback that we got from the group. One of them was more space. We had work on this and did comply with it on July of this year 2018. We have extended our space with two more units in Colon. Making it easier to help more people. One of the other things that was recommended was more equipment. 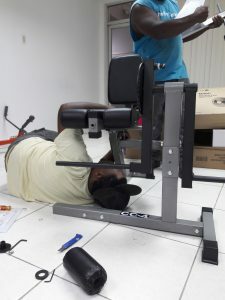 Since the beginning of our facility we have had a list of new equipment that we wanted to include in the facility, but we didn’t had funds to do it. We are still dependent on donations and sponsors to do our work because the people we want to help mostly doesn’t have financial resources that could cover every cost. That is one of the reasons that anything extra or special that we want to do we have to ask for donations. Since our organization is growing we do noticed that companies and service clubs are getting more confident in our organization and the work we do. That is why since our last approach we did get an approval once again from Rotary Curacao for some new equipment and accessories to help do more either on or off a specific equipment. Right know there are 2 types of injuries that are most frequenting our facility. Both of them have people that has function in both legs. 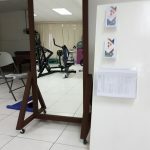 That’s why we were recommended by the physiotherapist that helps us a couple of times a month to get a leg extension to target the quadriceps muscle in the legs. The Valor Fitness CC-4 Adjustable Leg Curl Machine supports two key leg exercises while staying seated in the same location, the leg extensions and the leg curls. You sit on a padded seat and raise a padded bar with your legs. The exercise works mainly the quadriceps muscles of the front of the thigh—the rectus femoris and the vastus muscles. The movement occurs at only one joint and is a basic, limited motion. Sit on the machine with your knees at a 90-degree angle and your ankles behind the roller pads, which are near the floor. Lift the weight until your legs are almost straight, but always keep a slight bend in your knees to protect the joint from excessive wear and tear. The simplicity of this exercise makes it easy to learn and execute properly, even for beginner lifters. The Medmassager is a foot massager equipment that help people with lower extremities circulation isseus. It also works best in alleviating severe leg/foot pain and reduces swelling. The MMF06 Foot Medmassager features 11 individual speed settings allowing the person to tailor his therapeutic regimen to his specific needs. It is always recommended to start on a low speed and slowly increase over time as the body responds to treatment. The MedMassager Foot massager is used clinically to treat patients with severe circulation issues and pain as a result of diabetes and neuropathy. 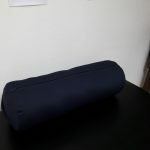 Used by doctors and therapists around the world, this massager is an important tool for stimulating local circulation, easing muscle tension and alleviating joint pain and swelling. 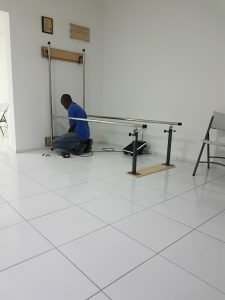 Our facility needed a parallel bar for those who can take steps to practice. Several members have asked for a parallel bar. We chose the DiaMedical USA’s Wall Mounted Folding Parallel Bars because it is the best choice in a smaller facility or room. When not in use, these seven feet long stainless steel parallel bars fold up against the wall to save space. The parallel bars will help those that can take steps to practice their walking and perfecting taking steps in a safe environment. This starts an exciting new era of possibilities that will definitely have a positive impact in the life of all the people that are coming right know to exercise and the others who have yet to come. We must finish by thanking Rotary Curaçao for their support because thanks to them people with spinal cord injury and other neurological disorder can get better and stronger.